We partnered with Milk and Legs Media to transform New York City's Pier 36 into a multi-faceted installation space, where celebrated British fashion designer Gareth Pugh unveiled his Spring / Summer 2015 collection. We created a series of large-scale immersive installations and films along with live performance pieces with a singular and compelling vision. 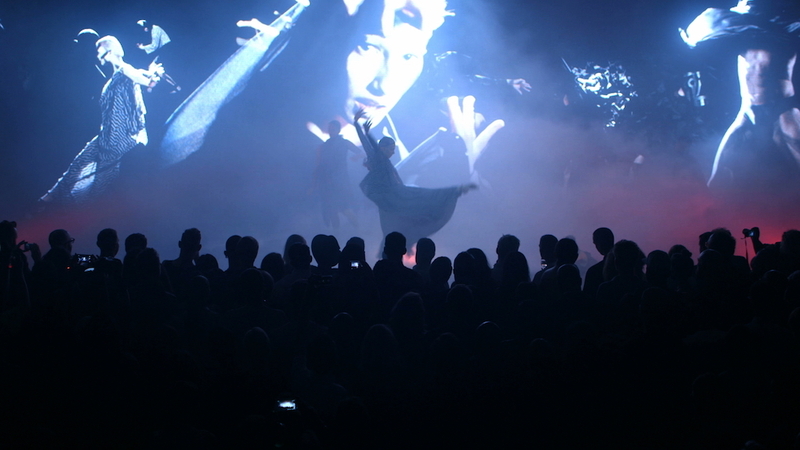 This included an indoor tornado set against a 60-foot LED wall playing a haunting experimental film, an eight-panel interactive video installation, and an avant-garde live dance performance set in front of massive film projection. 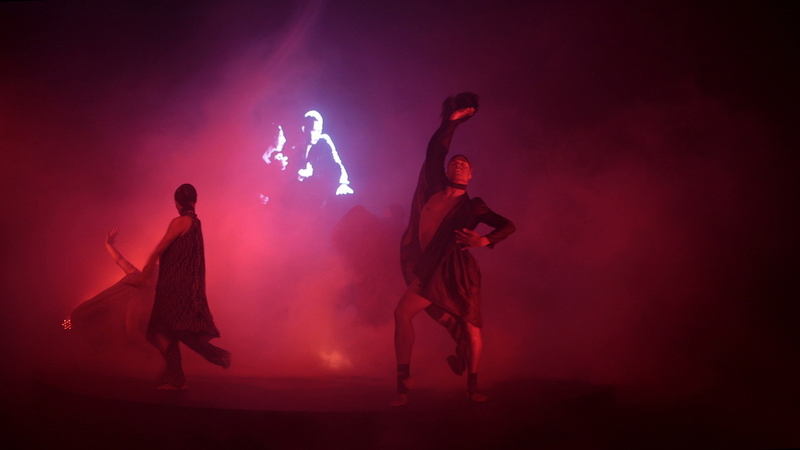 Combining the forces of fashion, music, animation, projection, choreography and told through the powerful performance of Coco Rocha, we crafted an abstract narrative around the dichotomy of light and dark, good and evil. The stage boasted a 40’ x 20’ holographic plane, 3x projection mapped background walls and a carefully choreographed dance. We filmed various elements and combined them with original animations for the piece. The result was stunning and left audiences in awe, many stayed to watch the performance a second time.